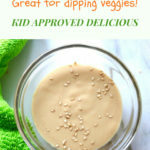 Easy Tahini Sauce for dipping! 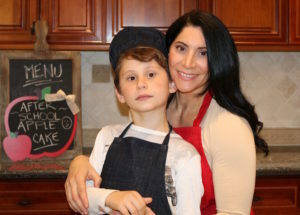 This is by far one of our favorite sauces, and we had fun trying different ingredients. It was like a tasting game. We ended up liking this Easy Tahini Sauce the best. It is so tasty and made with just a few basic ingredients. The choices of added ingredients to the Tahini are limitless. Try this sweet or savory, and they’re both delicious. 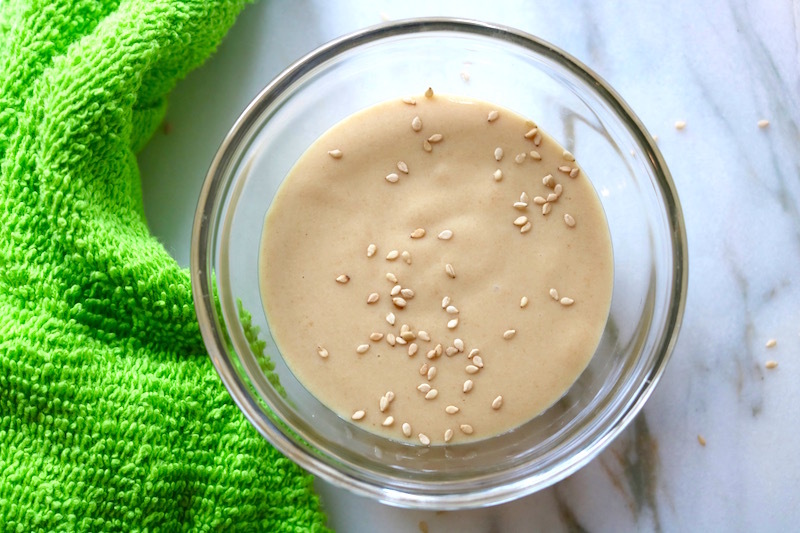 Tahini is made from sesame seeds, and is packed with great nutritional value. I will give this to my kids just because it may help with boost brain health, as a good source of omega-3 fatty acids. You have many choices when making this super easy recipe. 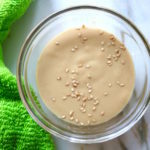 You can make the Tahini paste from scratch with hulled sesame seeds, then add the other ingredients, stir, and your done. 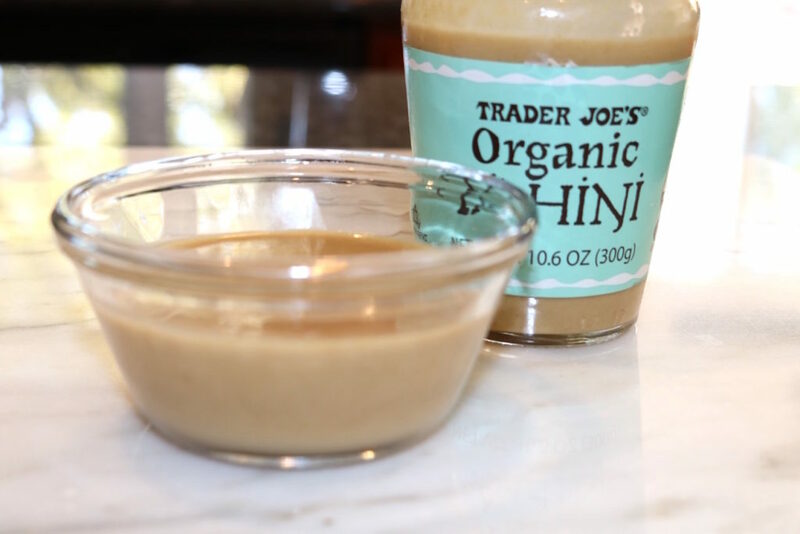 Or, if you’re on the go just purchase the Tahini paste already made, and add the other ingredients to make this Easy Tahini Recipe. We used lemon in this recipe, but we made another batch using an orange and honey. We liked the taste with the orange, but this recipe variation is our favorite. Add all ingredients to a small bowl and stir until mixed well. That's it, super easy!! This can be adjusted for sweetness by adding more agave, or add more rice vinegar and soy sauce for a more savory taste. 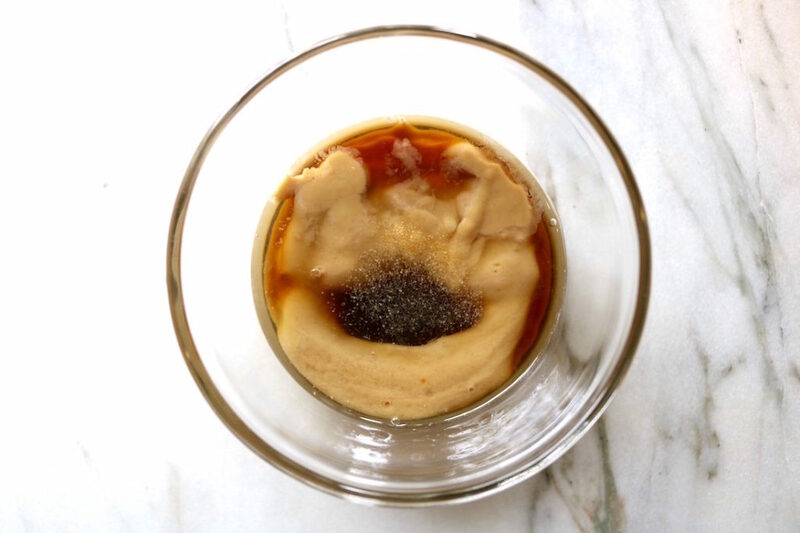 Tahini is one of my all time favorite sauces. I use it for so many different foods. I like this savory flavor, but sometimes I sweeten it up for the kids and they just love it. Do you make a sweet version as well?